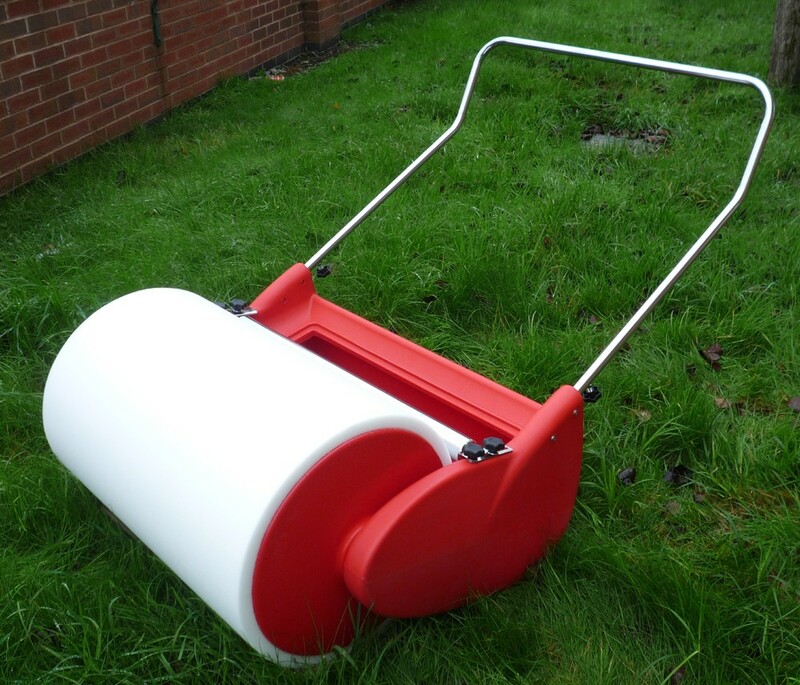 This is the updated new model of the easy to use lightweight pitch roller which quickly absorbs water from all kinds of surfaces. Additional benefits are a wider foam roller to collect the water, which is pressed into a large capacity tank, an ergonomically redesigned handle mounting and a stronger construction. The tank can hold 60 litres (14 gallons). The tank can be emptied easily, either by taking out the drain plug or by tipping. The four wide tread rear wheels are designed so they won’t mark fine turf. Replacement foam roller together with adhesive is also available.